Manufacturer: American Art Clay Co., Inc.
Our rich terra cotta premium quality self-hardening clay is formulated for handbuilding, sculpture and wheel throwing. 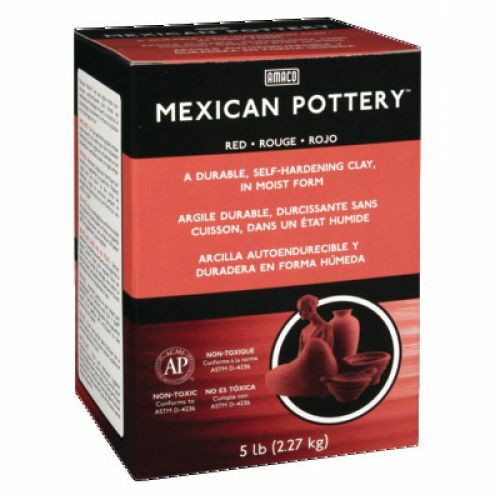 Modeled objects with resemble Native American or Mexican Pottery with little or no decoration necessary. Moist, ready-to-use. Pieces dry hard and durable, but not waterproof. Can be painted.